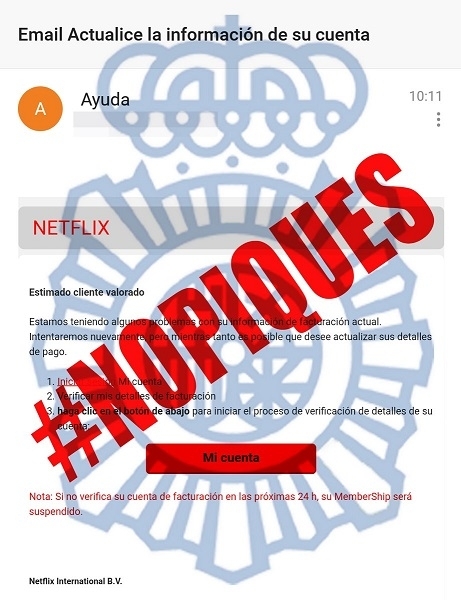 A large-scale phishing campaign by unknown people is circulating in Spain. It spreads so quickly via the social networks that the National Police explicitly warn via their Twitter account, against responding to it. Users receive an e-mail that allegedly comes from Netflix and offers to update the data of the Netflix customer. If you follow the link, you will end up with a virus which will spy on your personal data.